and a ginormous serving spoon? The one with three older brothers at his beck and call. 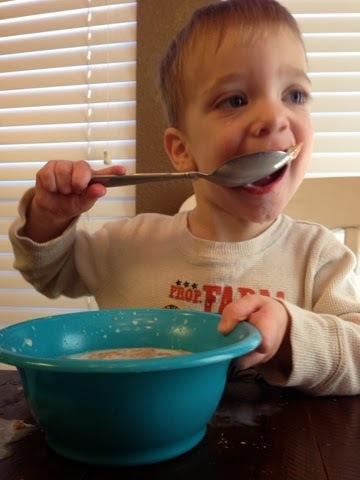 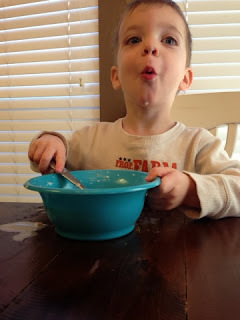 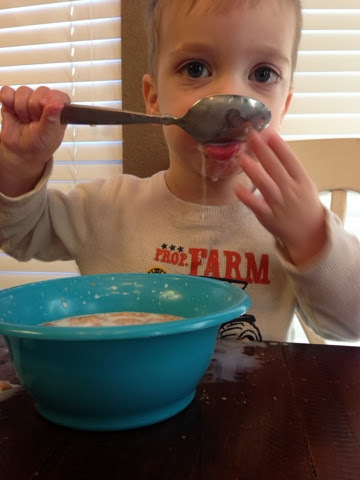 That is the way to eat cereal.